Join me an the Wonderland Book Club on Friday June 27th from 10:00 am to 12:00pm at Center for Excellence, 3803-B Computer Drive, Suite 106, Raleigh, NC 27609. It is just south of 440 off of Six Forks Road. 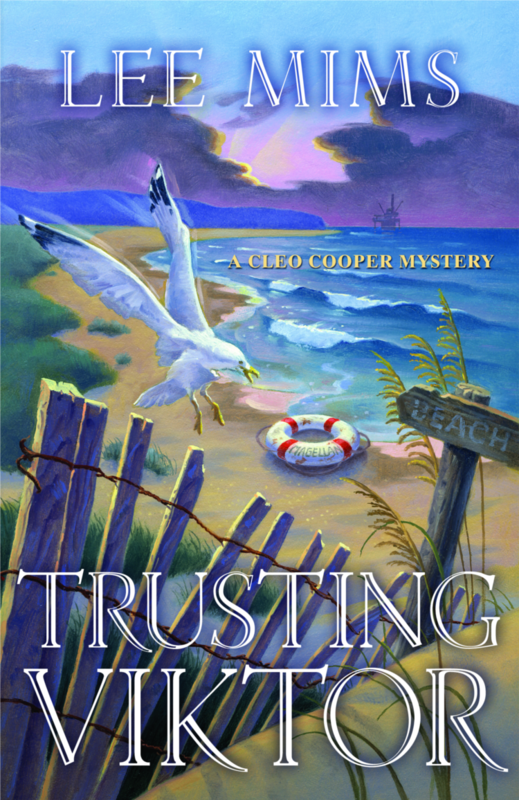 We will be talking about my latest book, Trusting Viktor, my first novel, Hiding Gladys, writing mystery fiction and other general writing topics. I will also have some signed copies of both novels available during the meet up. Join us! I hope to see you there. 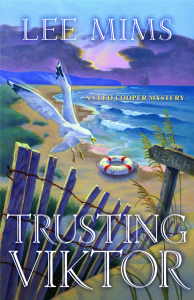 My new novel, Trusting Viktor is available now! Hi everyone! The second book in the Cleo Cooper mystery series, Trusting Viktor is out now. It is available in paperback and on the Kindle. If you have read the book, I would love your feedback. Please contact me to let me know what you think of the book, or you can leave a review at your favorite book retailer’s website. Betting her life savings on a risky offshore natural gas enterprise, brilliant geologist Cleo Cooper has high hopes for a big payday. But a violent attack onboard the drillship darkens Cleo’s optimism. Days later, a man washes up on the coast near the drill site, but is it the man who assaulted Cleo? When Viktor, a promising young Russian geologist is hired as the dead man’s replacement, Cleo isn’t sure if he’s friend or foe. The truth seems to be lurking beneath the surface, and as she gets closer to it, Cleo begins to wonder if she’s standing between a murderer and a treasure worth killing for. 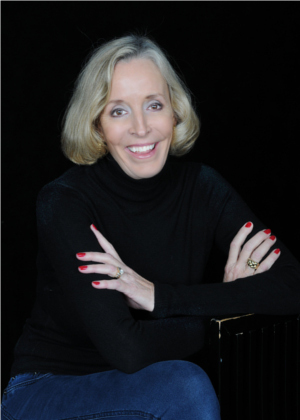 I will be participating in a local author’s panel at the Cameron Village Regional Library on September 25th at 6:30pm. During the panel we will discuss what it means to be a Southern writer, how living in the area has influenced our books and more. A question and answer session will follow. Come out to see me and the following local authors: Suzanne Adair, Brynn Bonner, Margaret Maron, J.D. 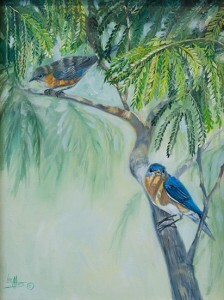 Rhoades, and Sarah Shaber. I will be attending the following events in July. 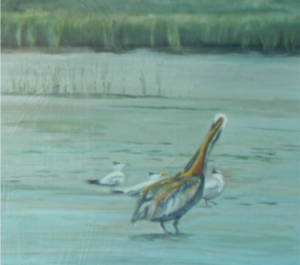 Join Lee Mims, author and artist, on Thursday July 11th at 6pm at the Little Art Gallery in Cameron Village for a book signing and art show. There will also be a few small surprise giveaways. Event details are below. I will be attending the following author events this June. POC: Tara Lynn Groth, head of Triangle Writer’s Group. Fox Morning News Greensboro – Live TV interview – June 4 – Morning after 9am. I will be attending the following author events in May. UPDATE: Added new event, Triangle Writer’s Group on May 23rd. See below for more information. I will be attending the following author events in April. 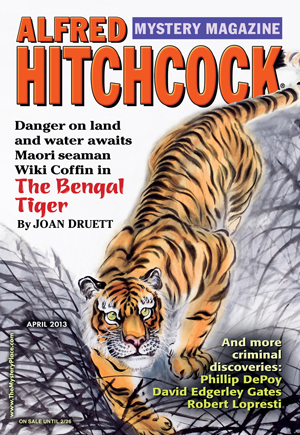 We are excited to announce that Hiding Gladys was reviewed by Robert C. Hahn in the latest issue of Alfred Hitchcock’s Mystery Magazine! Amateur sleuths can come from virtually any profession but there aren’t very many whose primary field is geology. 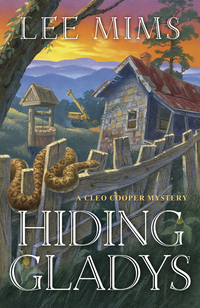 Lee Mims’s debut novel Hiding Gladys (Midnight Ink, $14.99) introduces geologist Cleo Cooper, who shows considerable promise as a series character who can carve her own audience niche. The forty-five-year-old geologist, while prospecting on her own in spare time from her consulting business, has made what might be a rare and valuable find of granite and has made a contract with elderly land owner Gladys Walton to drill and test on her property. A series of incidents that begins with a rattlesnake in her Jeep, followed by a stray shot that wounds her dog, Tulip, followed by the discovery of a body dumped in a well near a tenant house on Gladys’s land ought to be enough to tell Cleo that things are not going to be easy. Add to that the fact that not only is Gladys not home when she tried to call on her but her obnoxious adult children Robert Earle and Shirley make it clear that they don’t want her around. But things get even more serious when an accident sabotages the expensive test drilling and some of the core samples are stolen. 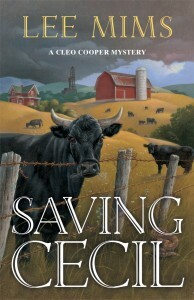 Cleo is smart enough to seek legal help to make sure her contract with Gladys will hold up, regardless of her children’s efforts, and to take steps to safeguard her claim but with the drilling costing about thirty dollars per foot—roughly thirty-five thousand dollars per day—delays could exhaust her funds before she can provide proof of a million dollar granite mine. A couple of handsome men provide Cleo with a combination of distractions, attractions, help, and advice both good and bad. One is ex-husband Bud Cooper and the other is fellow geologist Nash Finley. Cleo is a bit slow to recognize just how greedy and how evil people can be, but once her dander is up and she realizes that the missing Gladys is in as much danger as her mining claim, she shows courage, initiative, and resilience. Readers will want to see more of this spunky geologist with a streak of independence and a passion for her profession. After reading the book, you can come back to my site and let me know how you like it and ask me any questions you may have about the story.